C.W. Nielsen Mfg. Corp is a family owned business. Our business is the manufacturer of metal badges, insignia, nameplates, and award medals for fire-rescue, law-enforcement and security agencies. 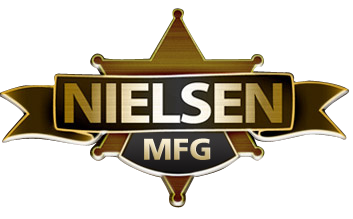 All Nielsen badges are manufactured in the U.S.A. at its shop located in Chehalis, Washington. This facility was established in 1971. 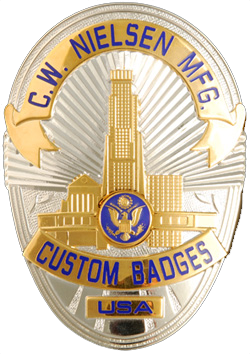 Prior to that the Nielsen's manufactured badges in New York. C.W. Nielsen Mfg. with its 60 plus years of manufacturing experience has always produced a superb badge. Tools and routines in the manufacturing of badges have changed but making a badge of classic quality still requires conscientious and traditional craftsmanship. A fine badge and a genuine concern for the interests of the people using them have always been the principal foundations of our business. We know that we make the best badges and welcome your comparison with any other manufacturer.